We offer competitively priced computer service and repair within the southeast Wisconsin and northern Illinois area. 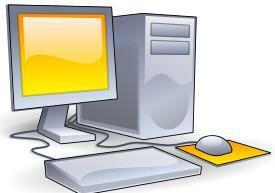 From setting up a new personal computer; to repair, upgrades and even maintenance, we are available to assist. Give us a call today! The Lake Geneva address is for drop-off and pick-up only and is "cleverly disguised" as a laundromat. An attendant is available Mon,Tue,Thu from 7am to 4pm; Wed 7am to 3pm; and Fri 7am to noon. If this schedule is not convenient, give us a call as we are frequently out on service calls throughout the area! THANK YOU for visiting RK Electronics!